If you’re looking for a black golf umbrella that won’t break the bank… The Budget Golf is the perfect solution to your element-battling woes! Check out the rest of our golf umbrellas! So, you’re looking for cheap black golf umbrella, but they must be windproof black golfing umbrellas? We understand. This stylish black windproof golf umbrella has all the quality of a storm proof umbrella but available at a budget price – the Budget Storm golf umbrella is equipped with storm proof ribs to defend against those strong winds. 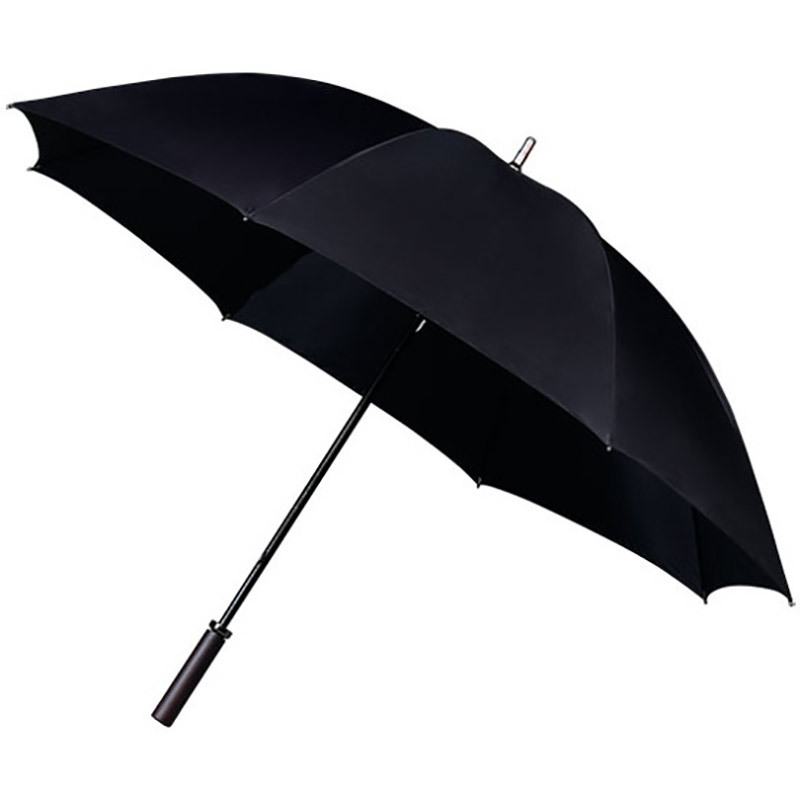 A sleek black rounded rubber handle adds extra style to this modern looking storm proof golf umbrella. Span: 125 cm / 49″, Length (closed): 94 cm / 37″.